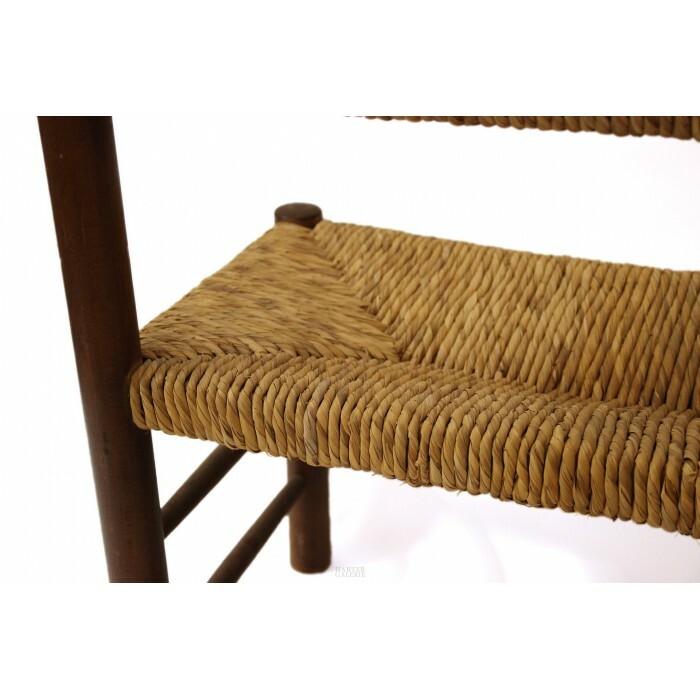 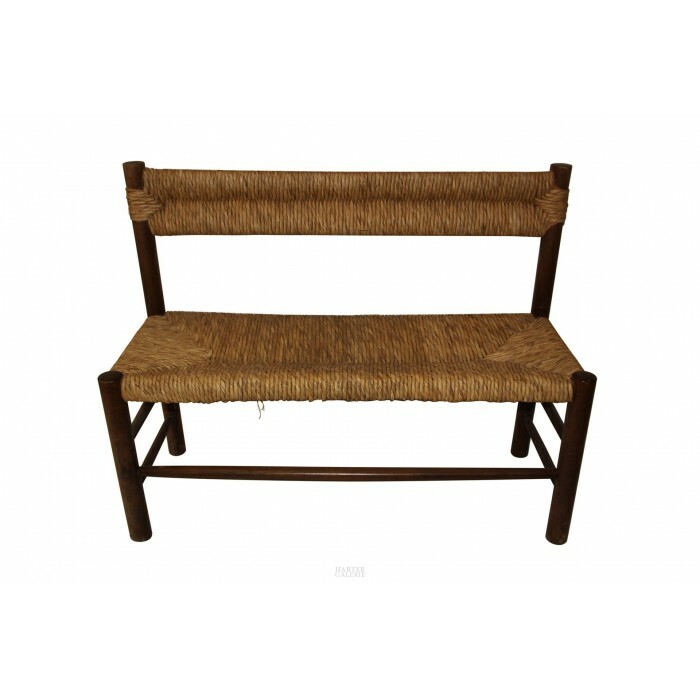 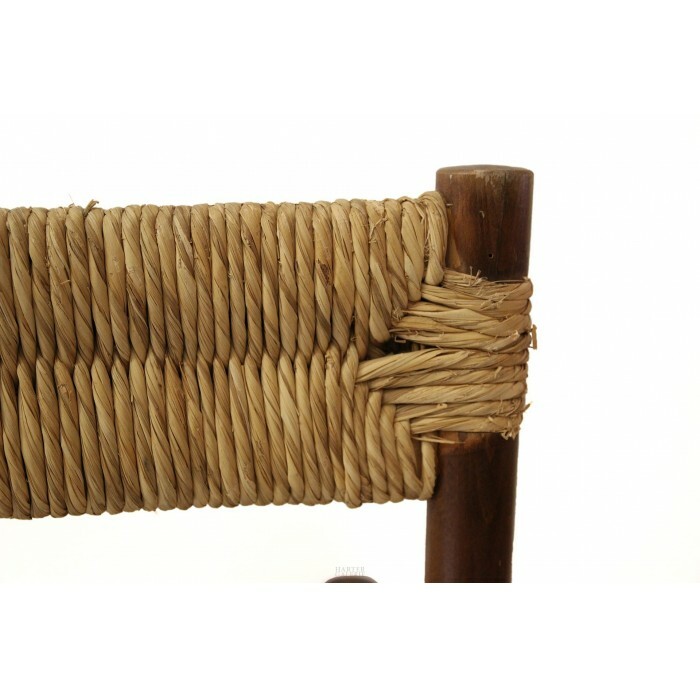 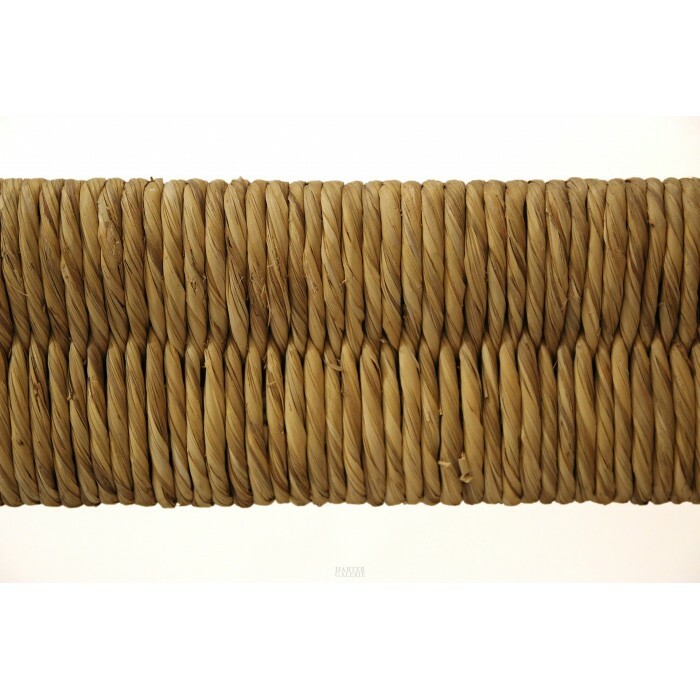 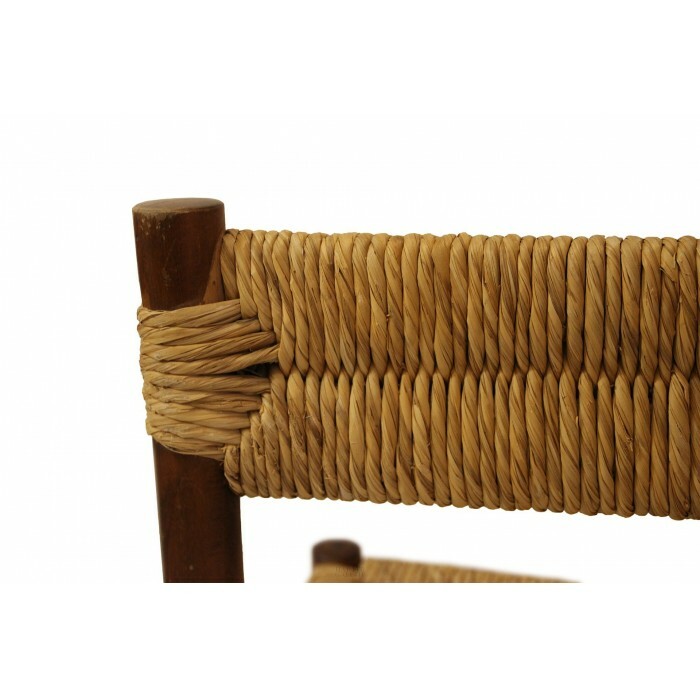 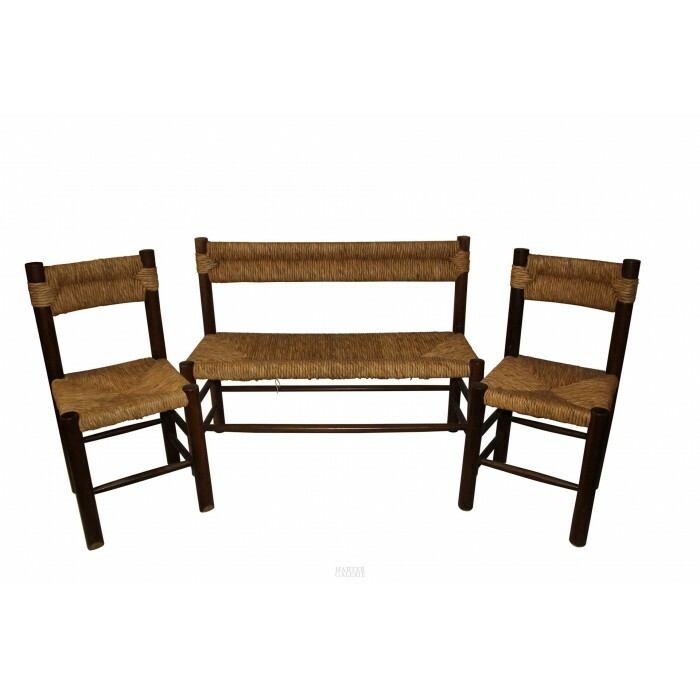 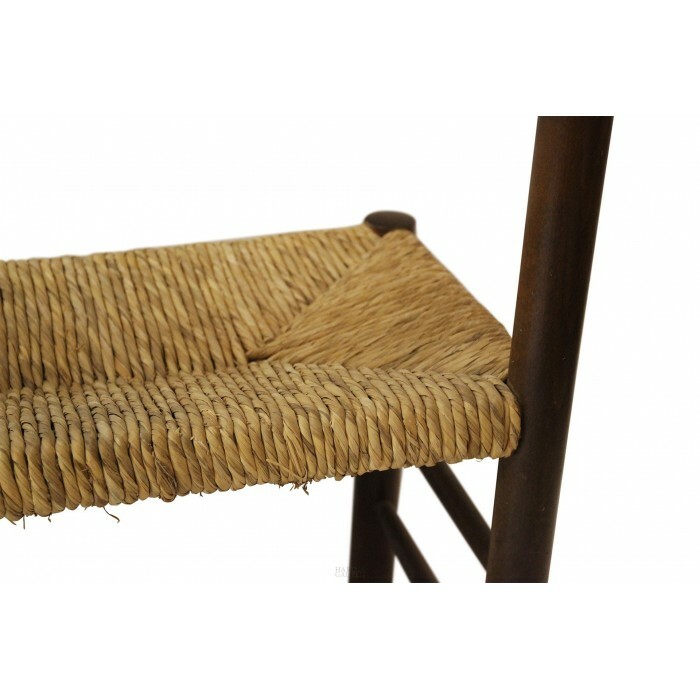 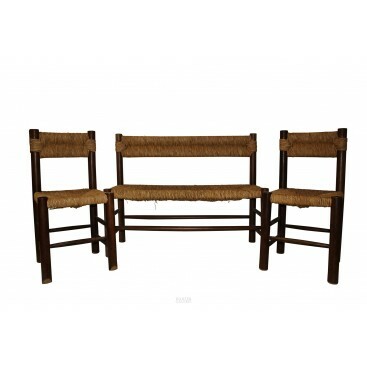 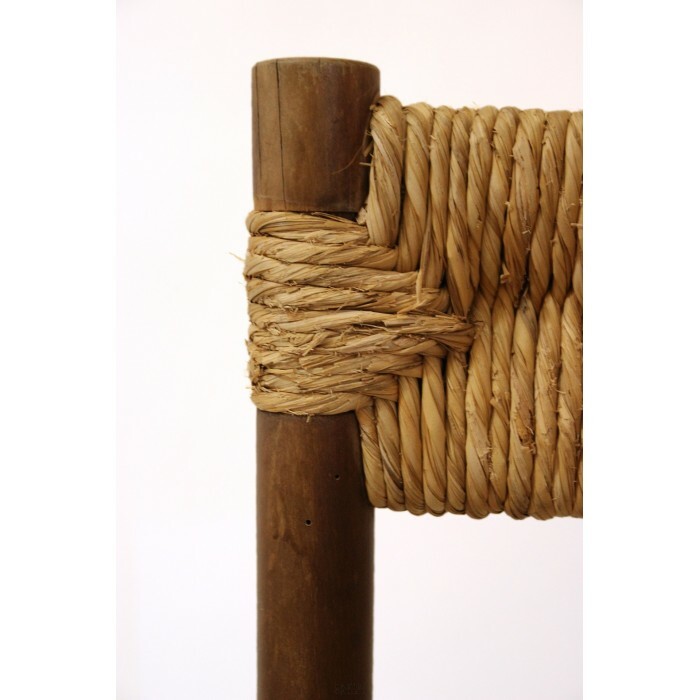 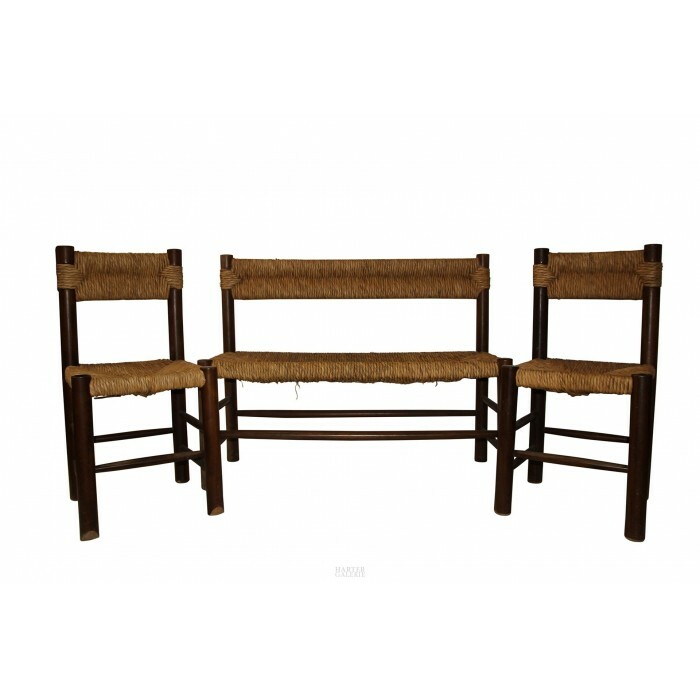 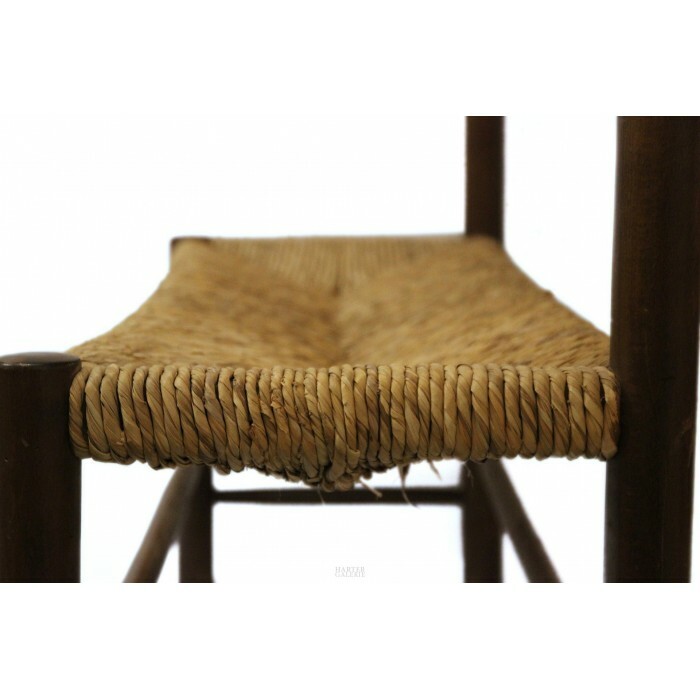 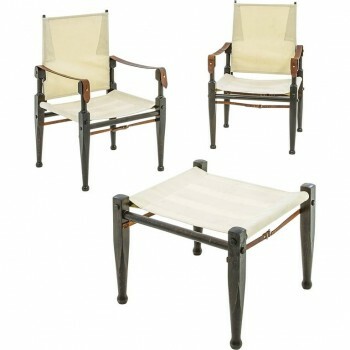 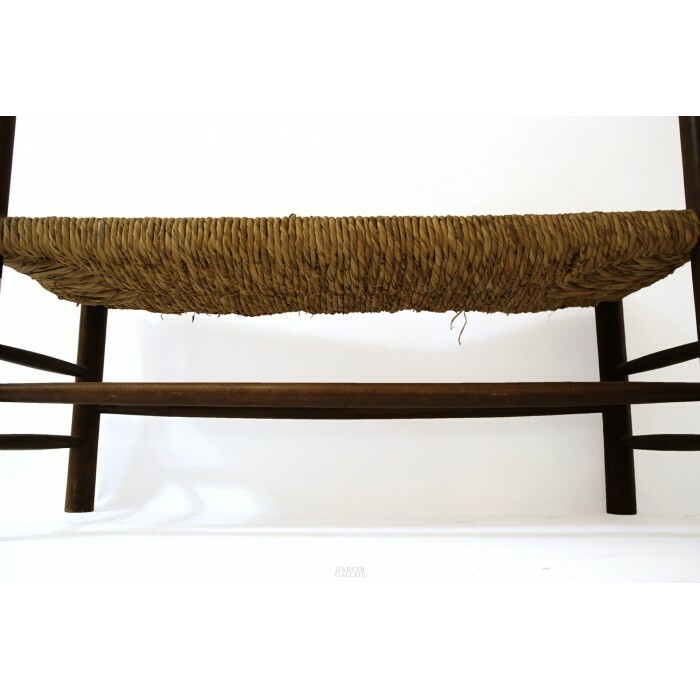 Charlotte Perriand, set of one bench and pair of chairs, wood and rattan, circa 1970, France. 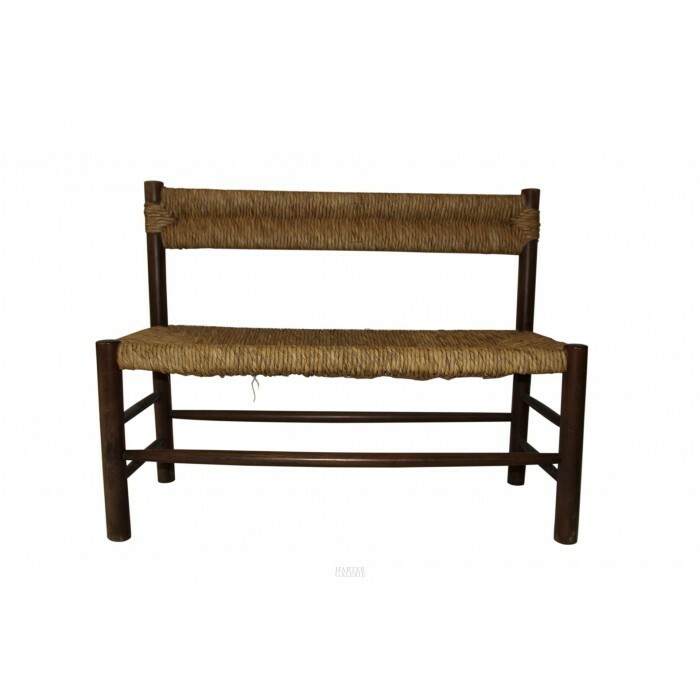 Bench: Height 86 cm, seat height 46cm, width 108 cm, depth 41 cm. 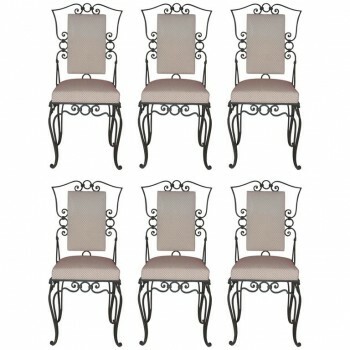 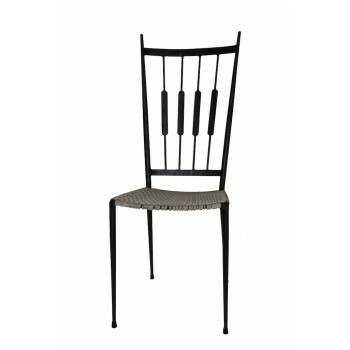 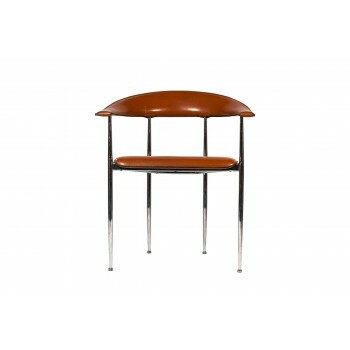 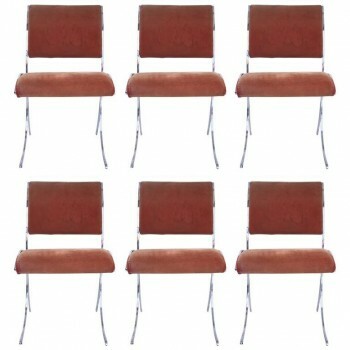 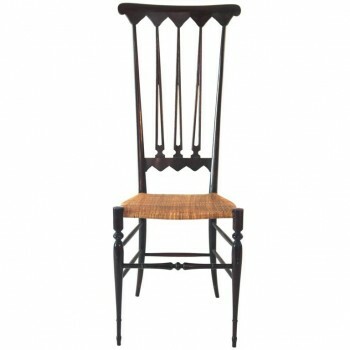 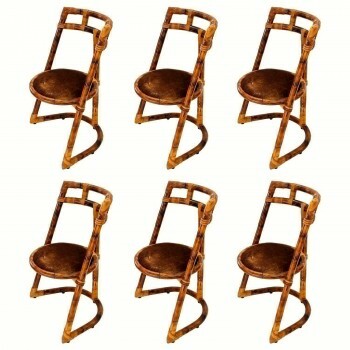 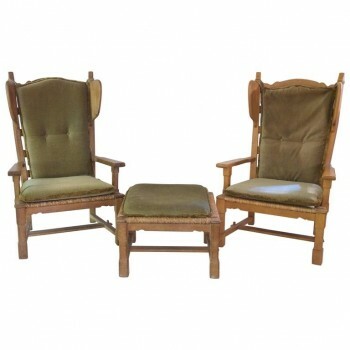 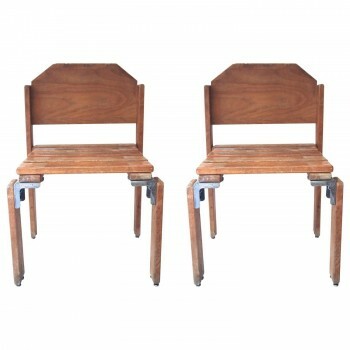 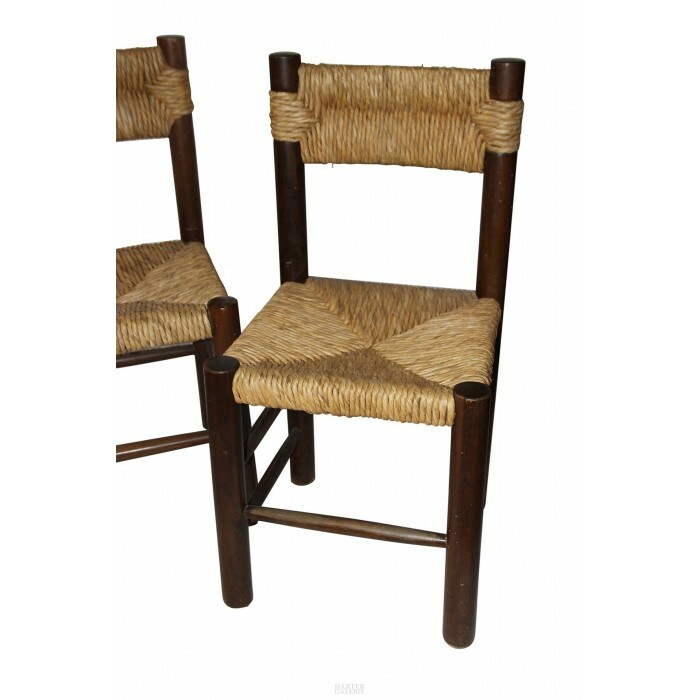 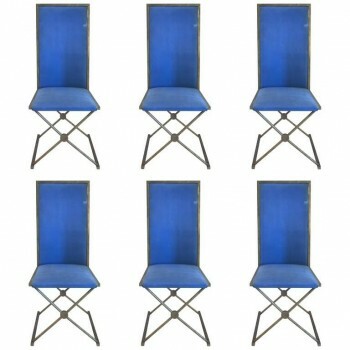 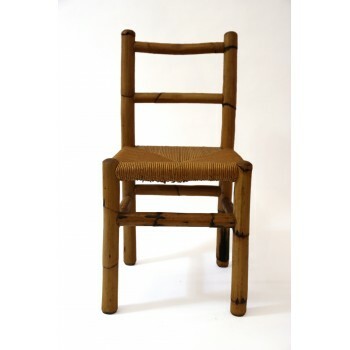 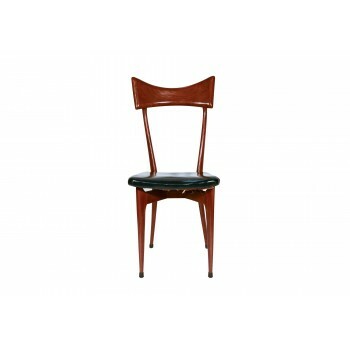 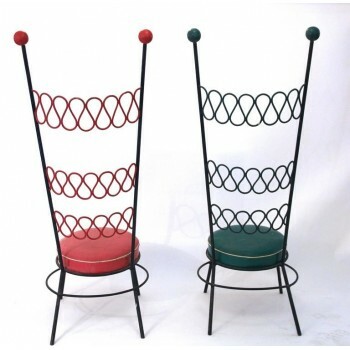 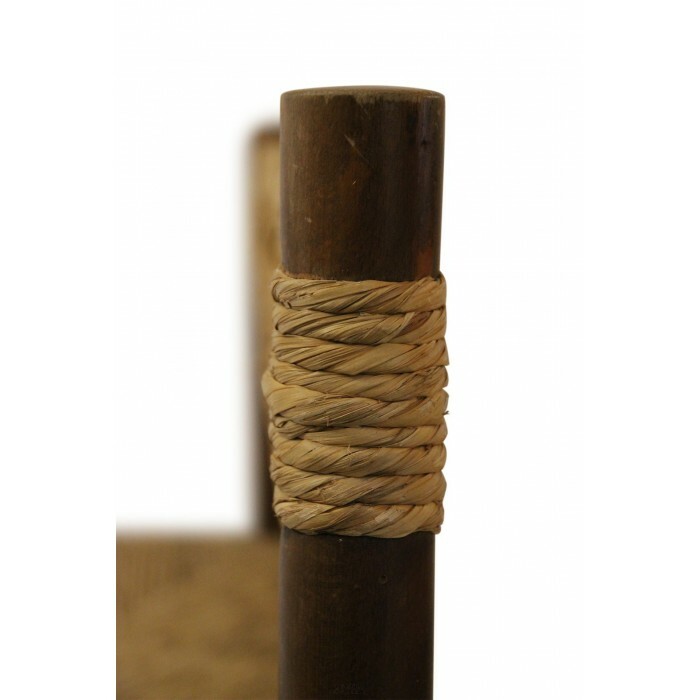 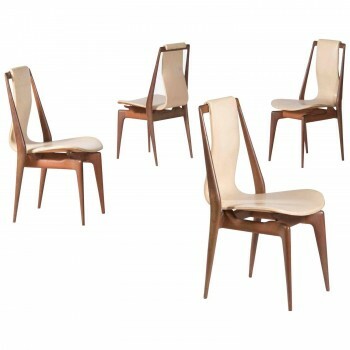 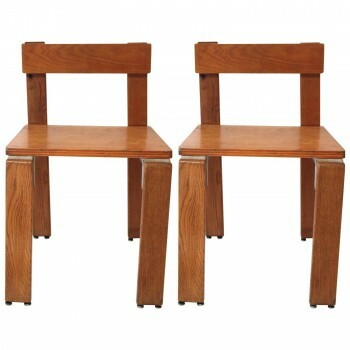 Chairs: Height 86 cm, seat height: 46 cm, width 42 cm, depth 41 cm.